Samsung announced the Galaxy A50 mid-ranger last month at MWC, and now it’s almost ready to launch in Europe. A Lithuanian carrier, Tele2, has spilled the beans regarding the phone’s price and release date. If you want to buy one outright, you’ll need to shell out €349, but you can also opt for a €52 downpayment followed by 24 monthly installments of €12.37. The handset is up for pre-order now, with deliveries for the black version starting on March 18, for the blue and white hues on March 25, and for the pink color on April 1 (and hopefully that’s not a joke). Of course this information may not translate 100% to what’s going to happen in other EU countries, but at least we now have an idea what to expect. 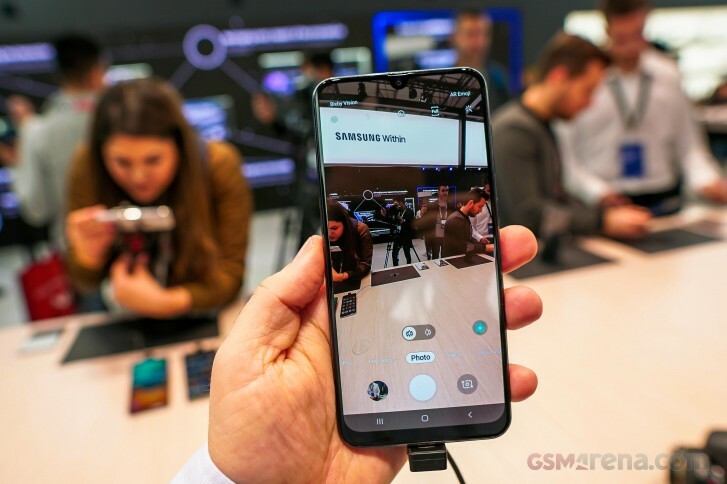 The A50 features a 6.4-inch 1080×2340 AMOLED touchscreen, the Exynos 9610 Octa chipset, and in Tele2’s configuration comes with 4GB of RAM and 128GB of storage. You get a triple rear camera system with one 25 MP f/1.7 sensor, an 8 MP ultrawide snapper, and a 5 MP depth sensor, while on the front there’s a single 25 MP f/2.0 shooter for selfies. The phone runs Android 9 Pie and comes with a 4,000 mAh battery.